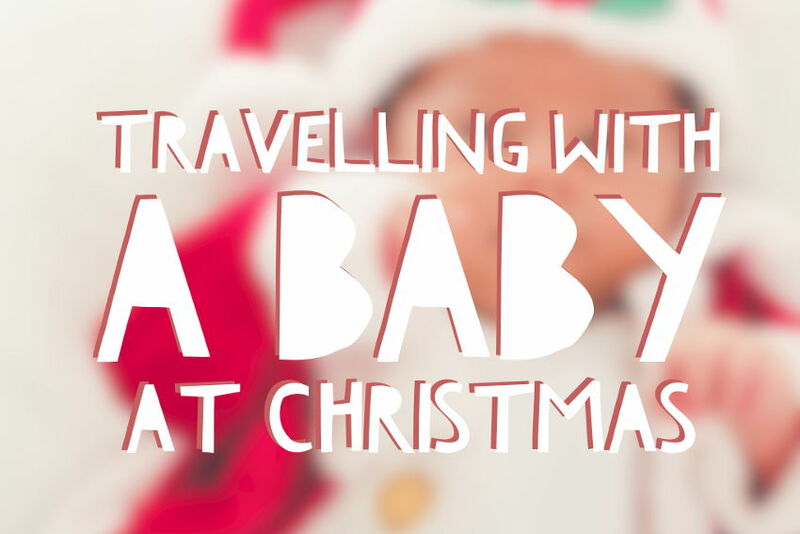 If you aren’t staying at home for Christmas (our family is spread across the country so we always have to do some travelling) then you need a few tips on how to make the journeys as easy as possible. Often, for the whole family to be together you need to do a little bit of travelling. 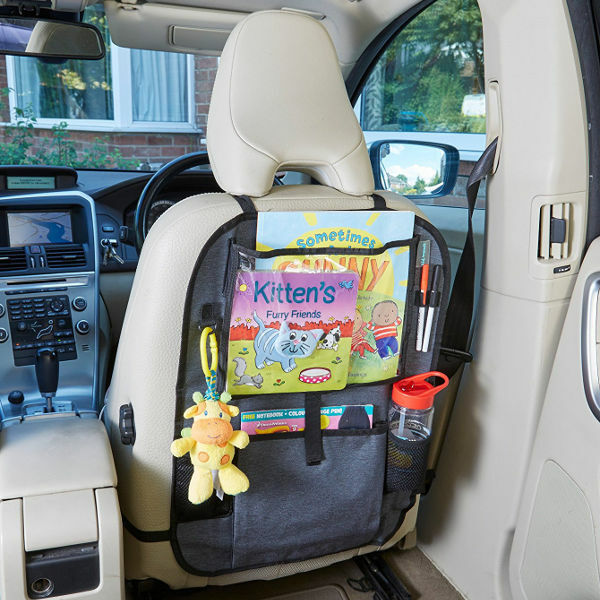 Luckily, our Kid Transit products like the car organiser with tablet holder and travel changing mat will come in handy! We’ve also rounded up a list of things you should probably pack if you’re staying over at a friend or relatives house this holiday season. What do I need for Christmas family travel? Take lots of changes of baby’s clothing, you don’t want to run out, and you probably won’t have time to put a wash on everyday at your relatives house. 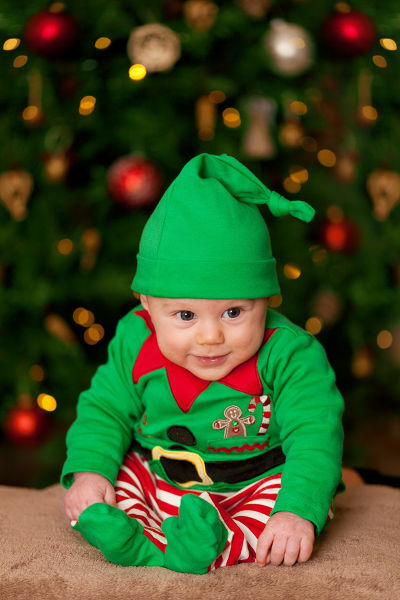 Remember to pack some fun and festive pieces for the season – not much is as cute as a baby elf! Think about what activities you’ll be doing. Will you be sat in front of the sofa most of the day? Or will you be heading out for a post-Queen’s speech walk? So remember to take warm things for going out with. Make sure you take plenty of nappies with you if you’re worried about carting them along with a carload of Christmas presents, buy them at your destination, or have Amazon ship them ahead of your arrival. You may also need to pack nappy rash cream, nappy bags and plenty of baby wipes. Our travel changing mat is ideal for on-the-go challenges, and has a handy bag section attached to it for keeping spare nappies and essentials. Be sure to take some sensitive baby shampoo, or again buy it at your destination if you’re worried about the weight. As for yourselves, remember to pack all of your essentials but remember you can always nip to a shop or borrow from your relatives if you’re stuck! If you plan on breastfeeding you won’t need to take much equipment with you. However, formula-feeding requires a little more planning in advance. You can buy travel sized packs of ready-made, or alternatively take portions of powdered formula, and an insulated flask of boiling water and sterilised bottles. Your relatives house should have somewhere where you can sterilise your bottles and warm up milk, however, it’s always good to check in advance. We used to take our microwave bottle steriliser with us until we realised that we must have a big microwave and it didn’t fit in quite a lot of other people’s microwaves! Remember to back some bibs and wipes to keep everything clean. And don’t forget about on-the-road snacks for the grown-ups too! No one wants an ill and unhappy baby over Christmas so take along some baby paracetemol or ibuprofen (make sure it’s the correct one for the age of your little one) and a thermometer to check for fever. It always gives me peace of mind to know that we have that at hand. If your little one is teething then don’t forget any gels or teething rings that you use to settle them. Bring along some of your baby’s favourite toys to keep them occupied during the journey. This will also give them some form of familiarity if you are staying at a place that is new to them. You can pop these inside one of our useful car organisers, along with your other essentials and grab them when you need them. In the meantime, baby car mirrors can really help comfort a baby in the back of the car. Not only are they entertainment for the child, but seeing their parents’ faces might calm them down on a long journey. They also give parents peace of mind whilst they’re driving in the front. Car journeys can get cold and hot, so be sure to take some a few blankets and layers of clothing. Where are you heading this Christmas? Let us know in the comments below or on Facebook and Twitter.